Booknizer is an advanced book organizer for all types of books. You can add your paper books by title, isbn, or barcode. Electronic books (e-books, ebooks) and audio books can be added from files. The added books can be sorted, searched and filtered in different ways. Information about your home library can be printed or exported to PDF / other formats using reports. 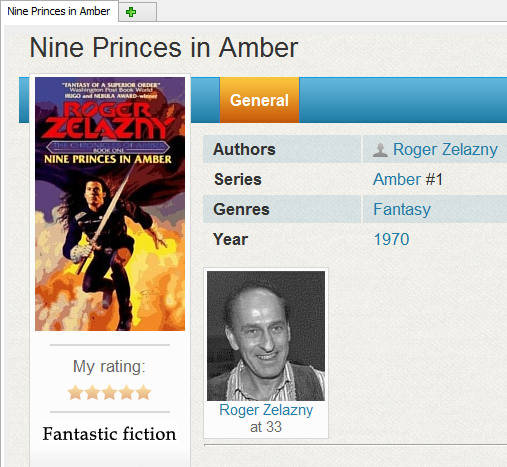 There are some predefined fields in Booknizer, such as title, year, genre, etc. If you download information about books from the internet or add your books from files, some of these fields are filled out automatically. Additionally, some custom fields and lists are available, they can be used for any sort of information. A book series is normally a group of books that have something in common (for example, the same main hero / heroine, the same "universe", etc.). While each book may have its own unrelated title, all of them belong to the same series. Thus you may want to work with a series as a whole: display all books from the series, send them to a report, etc. Actually, there are two fields: name of the series ("Book series") and number of the book in the series ("# in series"). Here you can edit names, if mistyped, or delete series that you do not need. When finished, click "OK" to close the reference editor and apply your changes. If you click "Cancel", your changes will not be applied. 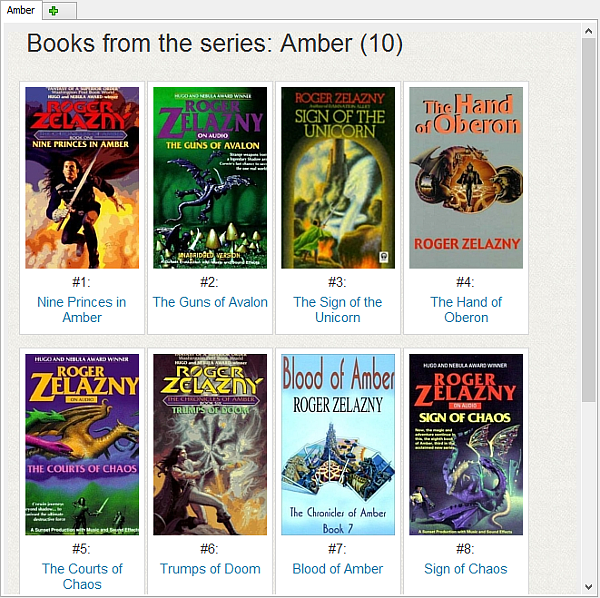 You can also use book series as an item on the "Collection" tab.